If you’re new to using coupons, you may find yourself really confused on how to get started or where to go next. Don’t overwhelm yourself. When you take it all back to the basics, couponing is simple. These four basic tips for using coupons are where you should start. If you’re a veteran coupon user, don’t overlook them. A reminder is never a bad thing. When you take everything out of the process, couponing is about doing one very simple thing – matching sales with the coupons you have. If you take everything else out of it, this is what you are left with. When you first start using them on a regular basis, do yourself a favour. Get comfortable just matching what you currently have with what they’re offering. Don’t worry about anything else until you’re absolutely comfortable with your couponing skills. Your store’s coupon policies are there for a reason and not following them can make your couponing life hard. Before you even start your couponing journey, familiarize yourself with what your stores will allow and won’t allow. Print out the policies and keep them with you as well. The biggest way that couponers can cost themselves more money than they should is by not putting limits on themselves and their spending. Limit yourself to only buying items that your family can use within a reasonable amount of time and stop yourself from buying products “just to get the deal.” All that will do is cause you to spend more money than you need and fill your home with wasteful products. Couponing as a whole requires sorting, clipping and filing. Even if you use the whole insert storage method, you still have to file them and clip when you’re ready to shop. One of the biggest things that you can do for your couponing life is to stay on top of things. Even getting a couple of weeks behind can cause you to become overwhelmed quickly. Keeping your coupons in a binder, file box or file folder will help you stay organized and know what coupons you have so that you don’t miss ade deal. The absolute biggest piece of advice that I can give new and old couponers alike is this: Don’t make it bigger than it needs to be. There will always be another deal and there will always be another coupon. Keep your couponing realistic and follow the tips above and couponing will do exactly what you want it to do for your family – save you money. Join the #InsuranceThatFits Twitter Chat on August 24! Staying organized is a must here…..I slipped up a bit last week and missed out on 2 FPC’s. That hurt lol. I don’t coupon as much as I did when our store had double coupons and I could combine store coupons with other coupons. I agree that organization is essential, otherwise you will miss some great coupons that you could have used! Thanks! Here’s a tip I use. Don’t chase every deal, you’ll get burnt out and if you won’t use it or don’t need it you’re wasting gas and time which is just as important as money. I have never really couponed. Just here and there. I feel so overwhelmed. Thanks for the tips! I will try again! 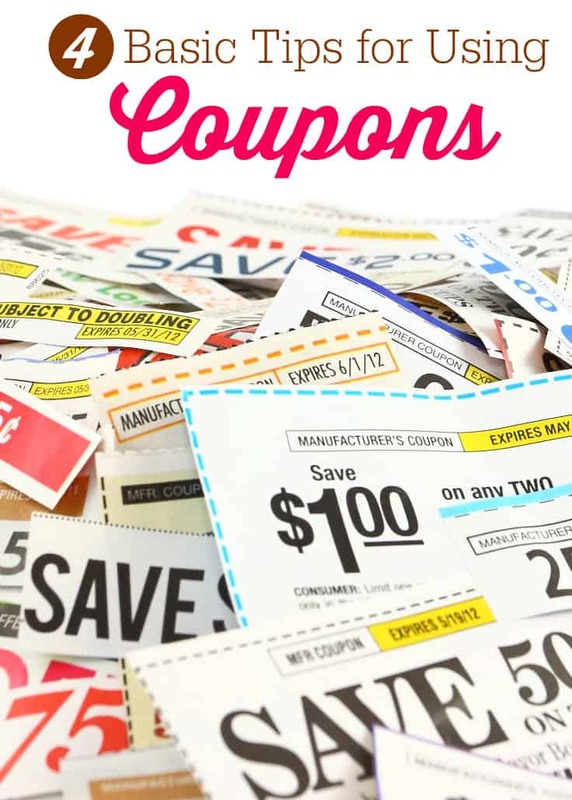 Great tips, I don’t coupon as much as I did a couple years ago. I find coupons are harder to find and when I was doing it I ended up buying items because “I had a coupon” which in the end wasn’t really saving me money because I wouldn’t of normally bought it. reading the fine print is key! i love saving coupons they are awesome and save you so much money !! I still coupon, but not as much as I used to since the local stores stopped doubling. I live in a very rural area and the closest town is quite small, I find I never see many of the items that coupons are good for or buy the time that I do, the coupon is expired. It all seems so simple. I really have to start doing it again! I need to get organized and start using coupons again. I do check out coupons but seldom use them since they’re seldom for things that I want/need to buy and since I only buy for myself the sizes are often too large for me too.